211 Bernard: Mandy Keifetz hosts a FLEA CIRCUS tonight! 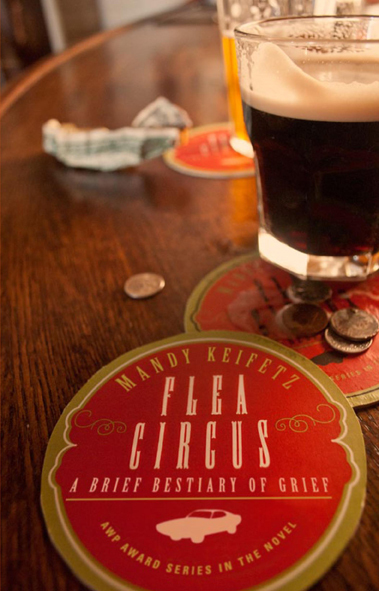 Mandy Keifetz hosts a FLEA CIRCUS tonight! Curious? Us too! Read on, intrepid Flea Circus viewer! Please join novelist Mandy Keifetz and Librairie Drawn & Quarterly for the launch of her new book Flea Circus: a brief bestiary of grief. Selected by Francine Prose as the winner of the AWP Prize for the Novel, and hailed by Kirkus Reviews as "a tour de force," Flea Circus is "a treacherous twelve seconds on the quarter mile, hilarious and harrowing by turn. Blink and you'll miss it." Tonight! 7 pm! Friday March 30th at the Librairie D+Q, 211 Bernard O!